Unfortunately in this industry there are many different terms used to describe pretty much the same thing so you may hear people describe receiving remedial, sports, deep tissue or clinical massage or perhaps soft tissue work and it can get confusing. Equally there are many different courses and level of qualification out there which can confuse people and until the industry is properly regulated there will still be companies offering weekend/week long courses which are designed to provide the therapist with the knowledge that it took 2 years of study for me to gain. Even now, 10 years down the line from when I started this journey, I am still learning - whether that be through CPD (continual professional development) courses or from each person who walks through the door. So what do I do? 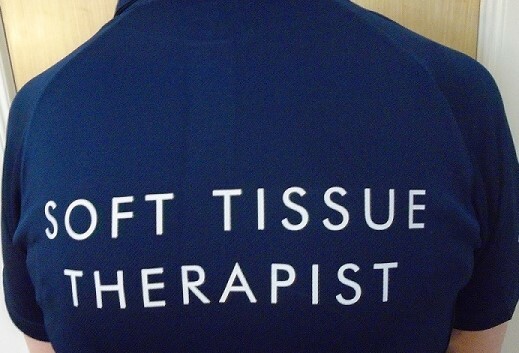 I would probably choose to call myself a soft tissue therapist as that encompasses all the non-massage work that I do. There are occasions when people come for work from me and I don't even open a bottle of lotion as I don't massage them in the traditional sense but instead use stretching, myofascial work, mobilisations or soft tissue release because those techniques are going to work best for them. You might even get some lymph drainage thrown in if I think it will help with an area of swelling. Ultimately I don't care what works for you as long as it does and I'll combine many different modalities to maximise the results from a session. What I don't do are "rubs" - possibly the most insulting thing anyone can say about my profession! So, until the time the term "soft tissue therapist" begins to work it's way into the mainstream I'll probably continue to use the word "massage" to describe what I do - it's less complicated to explain.